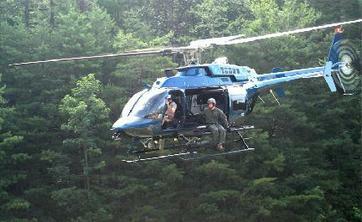 TSOP equipment is used by government, law enforcement agencies & military organization worldwide. 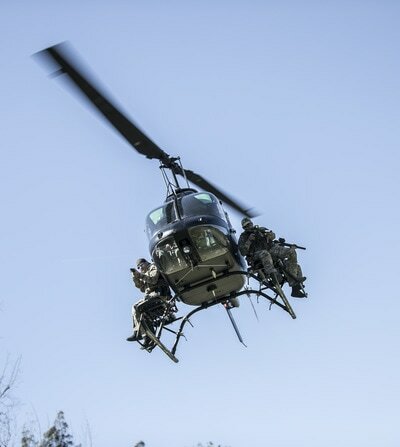 The primary functions are: assisting SWAT and rescue crews with rooftop evacuations, performing search/rescue mission, deploying teams in the field and improving field of view for marksmen. The Tyler Special Operations Platform makes this and other operations safer and more efficient. 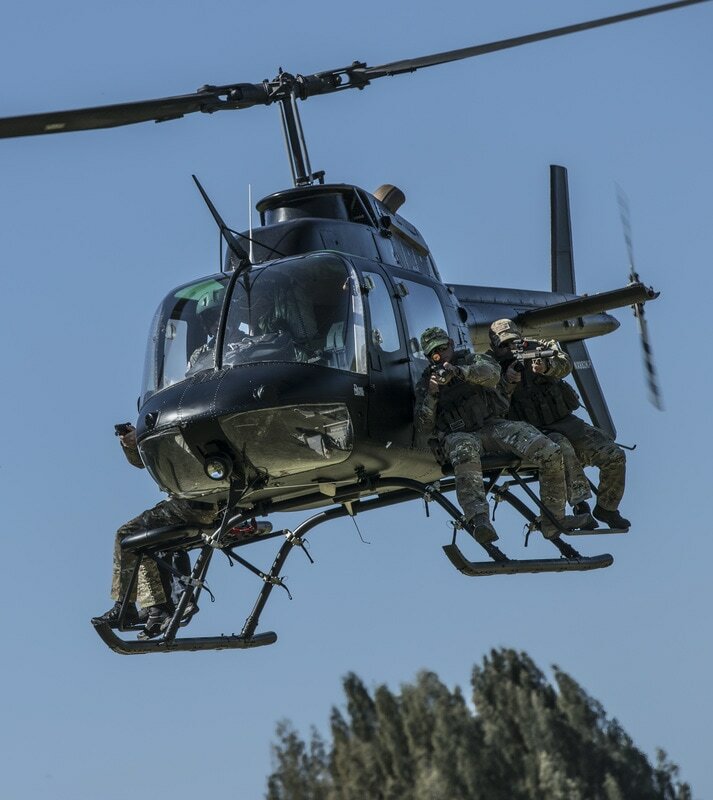 ​Currently, some law enforcement agencies transport and deploy their tactical teams by having them stand on the helicopter skids and grab handholds mounted to the side of the airframe. This can be rather precarious and awkward. Not only that but they don't have the proper visual advantage as if they were seated looking forward. With backs fully exposed they become more of a target. LAPD in-action. 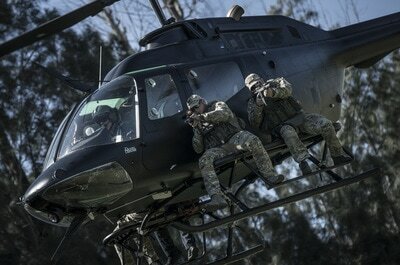 Photo: Glenn Grossman as one can see, the TSOP provides assault team members with a stable and safe platform. It also provides them with a tactical advantage when dealing with high-stress missions. 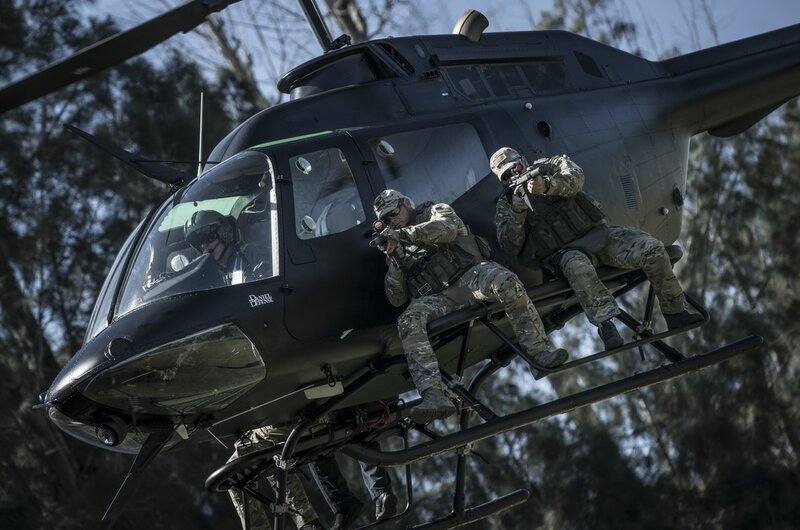 The team can focus on the mission and potential threats rather than be preoccupied with standing on the skids and hanging onto the helicopter. 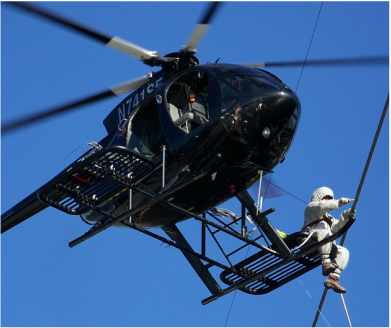 Our Benches offer the solution for safe and secure methods working from a helicopter on high voltage power lines. The TSOP benches are used for some custom military application as seen in this picture.